If you've been waiting for a Hauppauge HD-PVR (read my first impressions on the device here), your wait is over. 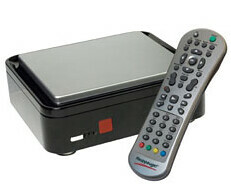 The Hauppauge HD-PVR is now available for shipment in the SageTV store. There has been a delayed delivery when purchasing through Hauppauge directly so this will be a popular option for many. Plus the $299.95 bundle is an excellent deal for those interested in getting started with SageTV. SiliconDust, the makers of the HDHomeRun Dual-QAM/OTA HD tuner continues work on their DVB version of their tuner. Current projections are to have the DVB version of the HDHR ready for mass delivery by September. 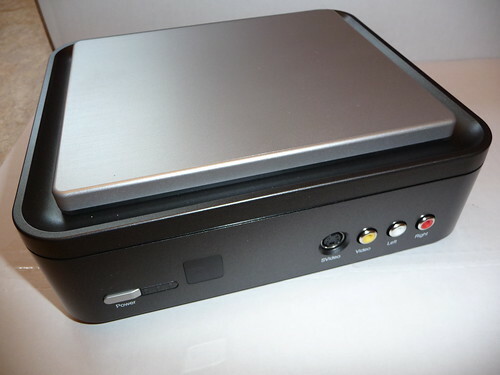 Early reports stated that SiliconDust planned to have Microsoft Media Center and MythTV support and other HTPC programs support was still to be determined. This is especially important to the non-US TV viewers as Europe and many other non-US countries use DVB as their digital television standard. Included in the SiliconDust tuner will be support for DVB-C (digital cable) and DVB-T (Terrestrial broadcast). Without a DVB tuner, many in Europe, Asia, Australia and Africa cannot tune to the majority of television channels. While the throngs of iPhone and iTouch users were trying out the new Pandora Radio, one of the most popular free iPhone application releases, I was testing out a new Pandora Radio Application on my SageTV Home Theater PC. Pandora radio is one of the more popular internet radio applications that is a perfect match for the HTPC and is a very welcome addition to my Home Theater PC abilities. Pandora has a database of more than 600,000 songs each marked with musical characteristics that helps Pandora personalize a station/playlist based on songs you like or dislike. The Pandora web app is one of my favorites and the iPhone and now SageTV applications that work with Pandora extend that excellent internet radio interface to the media players that get a lot of use in this house. 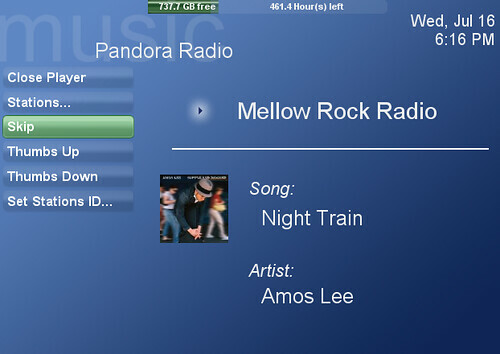 The plugin allows users to extend their personalized radio stations from their Pandora username onto their SageTV HTPC. Select a station to listen to and as you're listening to a song you can give it a thumbs up or a thumbs down to help “teach” the station your preferences. Songs you don’t want to hear can be skipped without giving them the thumbs down just like in the Pandora web application. It’s a fairly simple interface, but very easy to use and extremely functional. One quick note about the plugin. In it’s current form, you cannot use it on an extender without a hack (more on that in the forum thread below). For those of you looking for a review of the Hauppauge HD-PVR (my first take on the device is here) and too impatient to wait for the review that I have 90% complete, check out ExtremeTech’s complete review of the component video recorder. I will let you read it as is with one note: The author of the ExtremeTech review only used the software included with the HD-PVR. This is okay for some purposes, but if you’re planning to use the HD-PVR with an HTPC you REALLY need to use it with SageTV (working well with HD-PVR) or BeyondTV (in beta although not officially supported yet). I’m using my HD-PVR with SageTV and love it. I think if the reviewer had done this he would have had a better impression of the device. The reviewer really focused on the ability to convert the output from the HD-PVR to use on iPod or PSP which is difficult with h.264 files. I consider the HD-PVR an viable alternative to the CableCard technology used in Microsoft Vista Media Centers and judge it as such. I’ll get into that more when I release my complete review of the Hauppauge HD-PVR.